A few days ago there was a report in the media regarding non-availability of certain categories of ammunition which was causing great concern among the Services because the shortages take time to be replenished and the procedure for the same is quite lengthy. Moreover, if the ammunition has to be acquired from the revenue budget, limitations of the budget itself and financial powers of the Vice Chiefs for procurement of ammunition from the revenue budget are both a constraint. This had led to a situation where the ammunition reserves of the services especially the army had dwindled alarmingly and even training ammunition had to be curtailed thus affecting training of all ranks. Apart from the ammunition deficiencies in the armed forces, each service has a rather long list of obsolescent weapon systems which need replacement urgently to retain the ability to fight modern wars in the future, especially in our case as we need to equip ourselves for facing two opponents on two widely separated fronts against China in the North and East and Pakistan in the West. In the recent times the government has hastened the process of acquiring some of the critical deficiencies of the three services. However they will fructify over the next 5 to 10 years. These include government to government deals like the ones for 36 Rafale fighters from France, 145 M777 ultra-light howitzers, and 22 Apache attack and 15 Chinook heavy-lift helicopters from the US. Contract negotiations are also on for procuring 56, Airbus C295 Transport aircraft to replace the Avro fleet. The aircraft will be made in India by the Tata group and the requirements may go up due the needs of the Coast Guard and the DRDO who are likely to configure the platform for multi mission maritime roles. 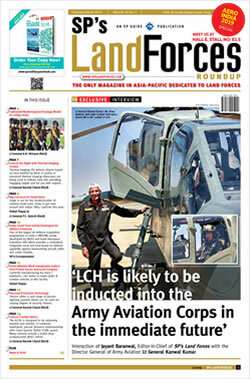 In the Army there is an urgent need to induct new assault rifles with night fighting capabilities; carbines; sniper rifles; fourth generation anti tank guided missiles; air defence guns and missiles; night fighting capability for tanks and infantry combat vehicles; about 3,000 assorted artillery pieces of 155MM calibre; specialised equipment for Special Forces; and last but not the least about 200 light helicopters for observation, reconnaissance and surveillance, and liaison missions. The Navy urgently requires additional submarines, anti-submarine helicopters and helicopters for search and rescue, observation and reconnaissance and liaison. The navy also requires two more aircraft carriers for its operational capabilities on the western and eastern sea board thus totaling the requirement of aircraft carriers to three. The Indian Air Force (IAF) requires to urgently build up its fighter strength. 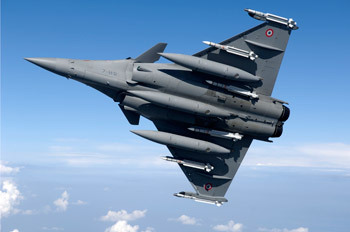 The original requirement for Rafale fighters was pegged at 126 however the present government decided to induct 36 fighter aircraft at the earliest as the squadron strength of the IAF was falling below the acceptable limits. 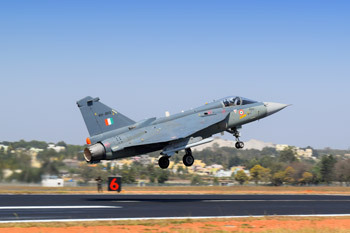 The production of Tejas (light combat aircraft), which is to make up the fighter strength of the IAF, is still not at the desired 16 planes-per-annum mark and it will take at least 3-4 years for new foreign collaborated jets to fructify. Former Defence Minister Manohar Parrikar, addressing media persons at the 11th Aero India in February 2017, said: "Talks for single-engine and twin-engine fighter jets are in advanced stages and we want to get them done in during current calendar year (2017)". He listed the needs as "300-400 fighters". On ramping up production of the Tejas, Parrikar said: "We are putting in a second line at a cost of Rs 1,359 crore. Work will start in three months and production in two years." It has been reported by the media that– "the defence ministry on August 17, 2017 has sought sought an urgent additional allocation of Rs 20,000 crorefor military modernization as well as day-to-day operating costs from the Centre, in a move that comes whenIndian and Chinese troops continue to remain locked in a tense standoff near the Sikkim-Bhutan-Tibet tri-junction since mid-June." While the Eastern theatre faces China, in the Western theatre facing Pakistan, we are noticing greater efforts by the Jihadis infiltrating in to Jammu and Kashmir, especially in the valley, where restlessness of the youth is being manifested in the form of stone throwing against the security forces which is quite often done to protect the militants from being nabbed or killed by the security forces. The defence budget allocation for the Year 2017-18is Rs 2.74 lakh crore and this is not adequate in meeting the urgent requirements of Services. Hence an additional Rs 20,000 crore has been projected by the Ministry of Defence(MoD) to the finance ministry. As per recent media reports,almost 50 per cent of the capital and 41 per cent of the revenue outlays in the defence budget had already been utilized in the ongoing fiscal. Additionally, the new customs duty on arms imports had also added the burden in the defence budget. When the defence budget was published at the beginning of the year it was analysed that the meagre increase of five per cent in the official defence budget this year is grossly inadequate especially in view of the vast void existing in military capability. 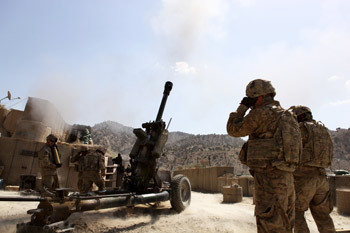 This would obviously impactthe modernisation and operational preparedness negatively.The Army alone requires the additional amount being projected considering their ammunition deficiencies. With the daily threats emanating from the State controlled media in China to go to war and the Western front being activated by the Jihadi Tanzimstrying to infiltrate to cause mayhem in the hinterland in Jammu and Kashmir and elsewherewhile thewar clouds are hovering over the horizon in the Eastern theatre,there is a need to augment substantial resources to defence and fast track procurement of urgent weapons and other systems required in case we are forced to undertake even limited operations. As it is, this years capital budget of Rs 86,528crore for new weapon systems and modernisation is woefully inadequate because the bulk of the capital outlay is earmarked for "committed liabilities or installments" for deals inked earlier. Incidentally, the defence budget outlay this year works out to just 1.56 per cent of the projected GDP, the lowest such figure since the 1962 war with China. It seems that the armed forces have projected a total requirement of Rs 26.84 lakh crore ($416 billion) over the next five years under the 13th Defence Plan (2017-2022) to ensure requisite military modernisation and maintenance to take on the collusive threat from Pakistan and China as well as to safeguard India's expanding geostrategic interests. The armed forces, in fact, want the annual defence budget to progressively reach at least 2 per centor more of the GDP for their operational requirements. If the requirement s of other stake holders in the MoD are considered such as the Defence Research & Development Organisation (DRDO), Ordnance Factories, Coast Guard, Border Roads Organisation, and many other organisations as well as activities carried out under the administrative control of the MoDand defence pensions,then it may actually require an outlay which is equivalent to about 3 percent of GDP. The actual defence budgets, however, have shown a marked trend towards declining budgets, unspent funds and skewed revenue to capital expenditure ratio, which have meant the Army, Navy and IAF continue to grapple with critical operational gaps on several fronts as brought out in the preceding paragraphs. In view of the above the government needs to put into place an empowered committee to review the entire system of budgeting for and expenditure on defence, so as to cater for the existinggaps in operational capabilities, equipment and ammunition deficiencies and modernisation. This committee should not only address the present situation but to also recommend remedies for the future so that such situations do not arise.